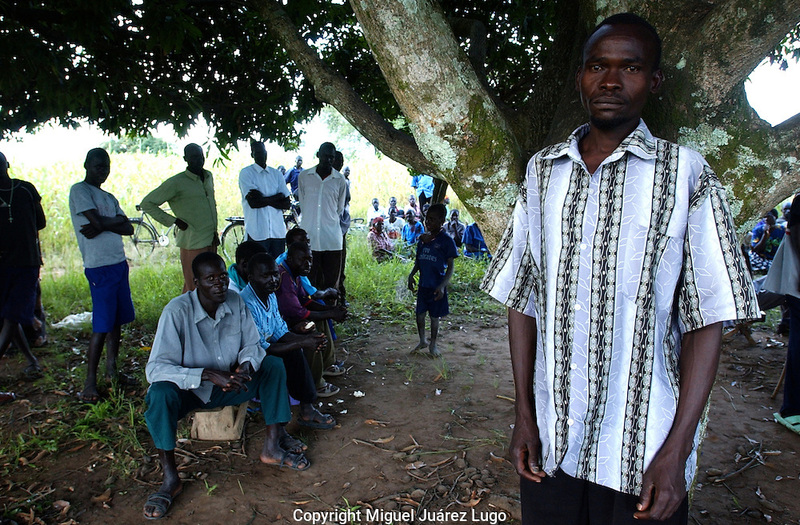 Samuel Ogwal, 30, prays with neighbors in their little village in northern Uganda. Ogwal, as a young boy, was abducted by the LRA (Lord's Resistance army) and was forced to teach children to kill and to watch them die, to deliver beatings and conduct ritualistic murders -- he was now facing a new kind of terror: returning home to the uncertain judgment of family and friends who had been brutalized by rebels like him. (PHOTO: MIGUEL JUAREZ LUGO).